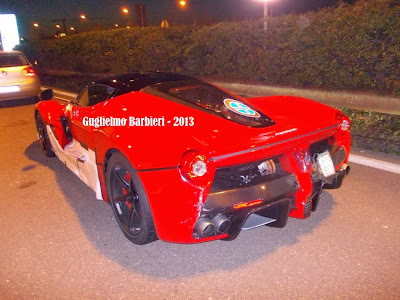 Marchettino - The ONLY official website: First LaFerrari crash! Hard time for Ferrari. 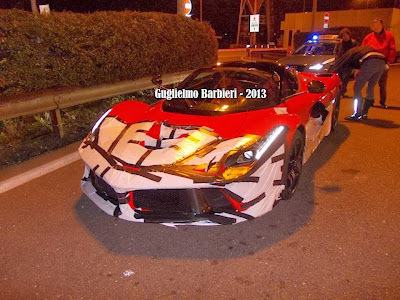 McLaren and Porsche have already started the deliveries of their top-notch hypercars, mean while at Maranello the LaFerrari is still under development and now we receive the news regarding the first LaFerrari involved in an accident. 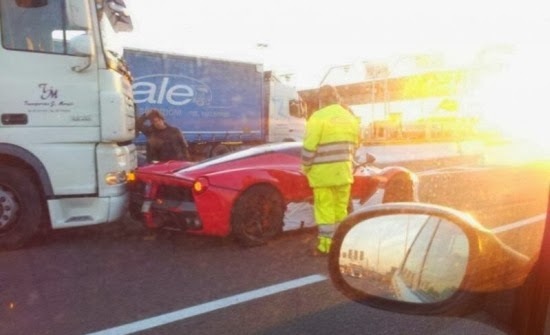 The picture shows a red LaFerrari (we hope it's not a customer car) rear ended from big truck, the accident took place yesterday in the italian highway around Mantova, a place where many Ferraris have been spotted while testing. Although the damage doesn't look extensive, I wouldn't want to be in the truck driver's shoes right now. This is actually the second time we get to know a LaFerrari is involved in an accident, months ago an enthusiast caught on camera a LaFerrari going offroad at Fiorano (Click here for the article and video). Edit: A good friend of mine was in the right place in the right time and less than an hour later the accident he was on the place and took a few exclusive picture to share with us, here they are! We can see better the damaged caused by the truck and although it doesn't look so extensive, according to the test driver it's still an expensive damage to fix. It's not a camouflage, it's a film used to protect the car from the dirt and scratches. Here I would like to mention about Rajeev Chaba whose contribution was legendary. Eicher tractors, a public company of Automotive Industry was Rajeev Chaba’s first company, which is in Faridabad India, wherein he played the role of Purchasing Manager. He developed his managerial skill and developed the knowledge in Purchasing. He got knowledge of Automotive Industry. He later on joined Dubai’s Suhail and Saud Bahwan as the Marketing Executive and developed his marketing skills. TaxTheRich hoons the 288 GTO!